I leave tomorrow for the TCM Classic Film Festival, so here is the final installment in my rundown of the 2016 TCM Classic Film Festival schedule. Sunday will be a light day for me, because in the morning I will be going to visit an old research friend in Hollywood. However, the schedule offers some prime choices for attendees on Sunday morning, including a screening of 1961’s King of Kings at the Egyptian at 9:00, Charlie Chaplin’s The Kid at the Chinese multiplex 1 at 11:00, and Children of a Lesser God at 1:00, also at the Egyptian. TCM pulls a bit of a trick on festivalgoers at 2:30, with the simultaneous programming of the conversation with Gina Lollobrigida, and the Live From the TCM Festival interview with Faye Dunaway, which will be broadcast on the channel. I am going to try to get back from my friend’s by 2:30, in time for the Faye Dunaway interview. Dunaway is one of the most prominent actresses of the 1970s, with starring credits in such enduring classics as Chinatown, Network (for which she won an Oscar), and Bonnie and Clyde. Her appearance at the festival comes as a pleasant surprise–the interview was originally scheduled with Burt Reynolds, but when he had to drop out due to unforeseen circumstances, Faye Dunaway stepped in at the last minute. It will be fascinating to hear what Dunaway has to say about her long career and her Oscar win for Network, playing at the TCM Festival that evening. Sunday’s schedule includes many spots marked TBD, which is TCM’s way of accommodating movie fans whose film choices filled up quickly. In a TBD slot, TCM will program a movie shown in a previous time slot that was so hugely popular that many fans were left outside due to lack of space in the theater. It is difficult to speculate what will play in a TBD slot, but based on the length of the Faye Dunaway interview, I will likely not make any of the movies in the next time slot except the TBD one. I am looking forward to seeing what that choice will be. The next thing on the schedule is Network, at 8:00. I changed my flight home so that I could see Network on the big screen, as I feel that it would be remiss of me to let one of the most eerily prescient movies ever to have been made fall by the wayside just for a flight. In 1976, the premise of a network manipulating ratings based on the ravings of a “manifestly irresponsible man” was considered satirical and farfetched. But screenwriter Paddy Chayefsky seemed to have a vision of what was to come–today, the basic tenets of Network drive much of our 24-hour news cycle, especially during this presidential election year. Networks know that the incendiary words uttered by certain presidential candidates invite shock and outrage, and so they broadcast those words over and over, analyze them, and discuss them, because they know that people will tune in to hear them. The symbiotic relationship between outrage and ratings is well known now. We seem to be living out what Paddy Chayefsky envisioned in his imaginary world of news cycle absurdism in Network. It is a simultaneously fascinating and extremely frightening situation. See you in Hollywood! As usual, you can follow along with all the action right here on the blog, as I enable a live Twitter feed during the festival. To send us off, hit it Bing! Maureen O’Hara, whose subtle Irish beauty and fiery red hair made her a favorite of director John Ford, died yesterday in her sleep at 95. In recent years she had moved from her home in the south of Ireland to Boise, Idaho, to be with her family, and was continuing to make appearances as late as 2014, when she appeared at the 2014 TCM Classic Film Festival. Born Maureen FitzSimons in the Dublin neighborhood of Ranelagh on August 17, 1920, Maureen had a few bit parts in 1938 before making her formal debut with her mentor Charles Laughton in Jamaica Inn in 1939, which was followed by The Hunchback of Notre Dame (1939) and Dance, Girl, Dance (1940). In 1941, she played Angharad in How Green Was My Valley directed by John Ford, with whom she would go on to make 5 feature films and whom she would always name him as her favorite director. With Walter Pidgeon in How Green Was My Valley (1941). 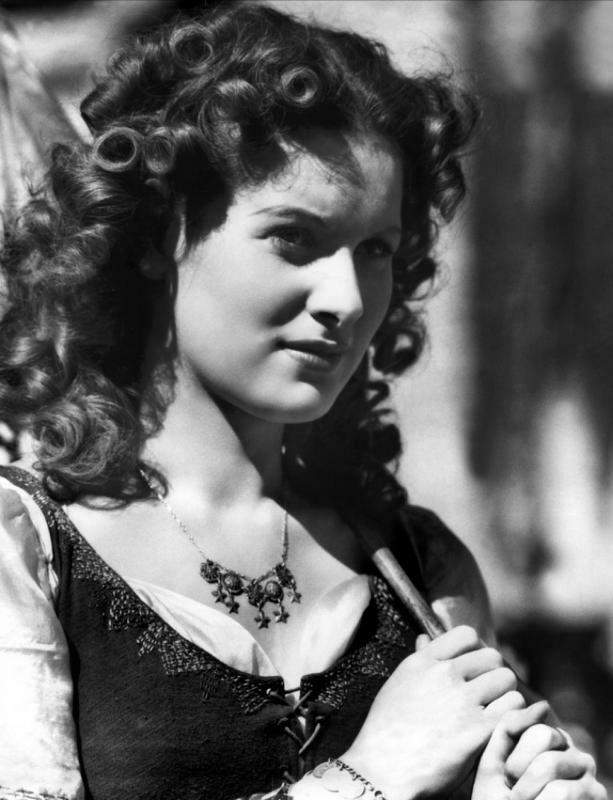 Her bright red hair made Maureen a natural for Technicolor, and with John Ford directing, she made The Quiet Man with frequent co-star and long time friend John Wayne in 1952. 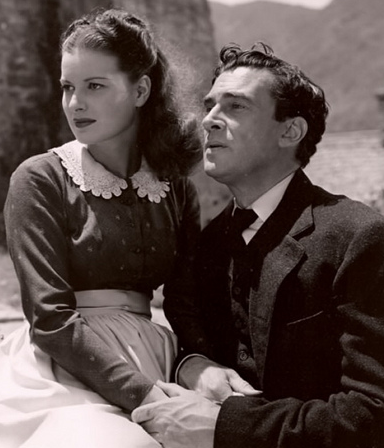 In The Quiet Man, set in Ireland and filmed in Cong, County Mayo, Maureen was able to show the national pride for which she had fought so hard 6 years earlier, and was able to speak a bit of Irish Gaelic while the beautifully photographed Technicolor accentuated the Irish landscape. In an interesting side note, the dialogue in this clip translates to a situation in which she had “sent her husband from her bed,” and was written in Irish Gaelic in order to avoid the censors. She married several times, but the love of her life was Charles Blair, a pilot who died in a plane crash in 1978. She had one daughter, Bronwyn, with William Price, and in her last years lived with her grandson, Conor. 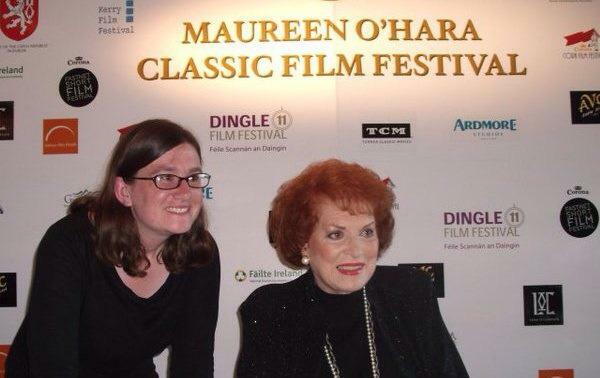 I was lucky enough to meet and spend time with Maureen O’Hara in 2011, while I was studying abroad in France and had the opportunity to travel to Ireland for the Maureen O’Hara Classic Film Festival, organized by several friends of mine and taking place near her home in Glengarriff, County Cork. 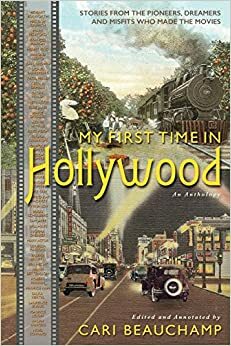 The festival included showings of several Maureen O’Hara movies on the big screen, as well as a signing event where Maureen signed my copy of her book, ‘Tis Herself. Because my friends organized the event, I had the great privilege to be invited to join Maureen for a chat in the hotel pub on the last night of the festival, where she joked, told stories, and was just as fiery and wonderful as I had hoped she would be. This is a video made by my friend Sara, who helped to organize the festival and who showed this movie on the big screen with Maureen there. It moved Maureen to tears at the festival, and it now moves me to tears remembering her. 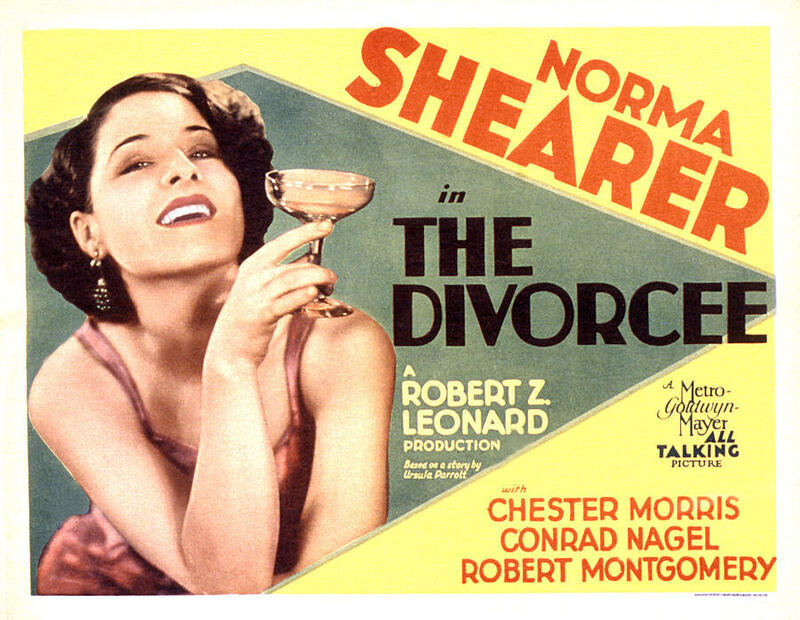 In the above scene, we are presented with a dichotomy that may not be immediately apparent if one is not familiar with Rita Hayworth’s unique position in Hollywood. In The Loves of Carmen, Rita plays the legendary Carmen, made famous by the popular opera and Prosper Merimee’s book on which it was based. Carmen is a Spanish gypsy, in love with soldier Don Jose, and their love combined with Carmen’s wild nature turns tragic for them both. For Rita, playing Carmen should have been the role of a lifetime. She was fiercely proud of her Spanish blood, and her own grandmother had, like Carmen, been a Spanish gypsy working in a cigarette factory. But professionally, Rita was in constant limbo in regard to her identity as a Hispanic in Hollywood. The character of Carmen presents a particular irony, as Rita had been all but stripped of her Hispanic heritage within the Hollywood system. Rita Hayworth was born Margarita Carmen Cansino in New York City to a Spanish Roma (gypsy) father and an Irish-American mother. Her father had been a professional dancer in his hometown of Sevilla, Spain, and Margarita showed the same aptitude as a child. The family moved to California and she became her father’s dance partner at the age of 12. She spent her childhood performing traditional flamenco and Spanish folk dances with her father, up and down the coast between San Diego and Tijuana, Mexico. Steeped in the mixture of her father’s Spanish Roma traditions and the Mexican culture of the dance halls in which she performed, Margarita easily saw herself as Hispanic and identified with the Spanish-speaking locals of Tijuana as much as (or more than) she identified with her American peers. 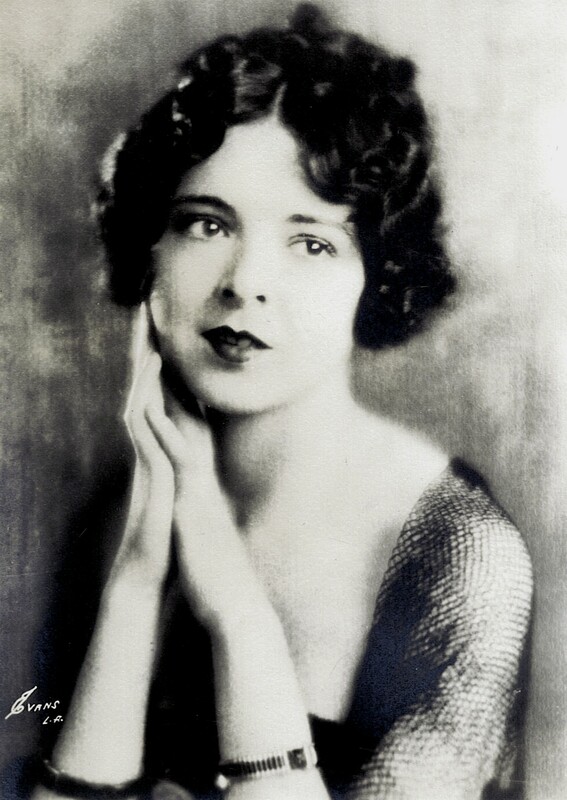 At the age of 16, Margarita garnered her first film role, a bit part in Cruz Diablo which was billed as a “Spanish Robin Hood.” From there, her career slowly grew, with small, stereotypically ethnic roles in Under the Pampas Moon, Charlie Chan in Egypt, and Paddy O’Day with Jane Withers. With her long, jet-black hair and low hairline, it was difficult for Hollywood to know where to place her in an industry dominated by white, non-Hispanic standards of beauty. In order for her potential to be realized in this milieu, shortly following her signing with Columbia in 1936, studio chief Harry Cohn began altering her image. She underwent painful electrolysis to shorten her “ethnic” hairline, and dyed her deep black hair a light shade of red. When they were finished, she was a no longer Margarita Cansino–in addition to whitewashing her physical image, Columbia changed Margarita’s name to Rita Hayworth (a variation on her mother’s maiden name, Haworth). For the rest of her career, Rita played either non-Hispanic characters, or Hispanic characters with an American overtone. In Blondie on a Budget, one of her first movies after the transformation, she plays Dagwood’s old girlfriend, an all-American girl named Joan Forrester. In You Were Never Lovelier, she plays an Argentinian, but an extremely Americanized one. In Gilda, she plays an American living in Argentina. In 1948, in The Loves of Carmen, Rita finally got the chance to play a character close to her own heart. But instead of Margarita Cansino in the role, we see Rita Hayworth, the product of a Hollywood that could not promote the career of a young woman with jet-black hair and a low hairline. The Loves of Carmen is a tragic double standard that is difficult to get past, but as much as the studio tried to whitewash her image, they couldn’t take away her identity. In Rita’s dance sequence in the village, Margarita Cansino is still there, dancing the way she did as a child. This is an entry for the Hollywood’s Hispanic Heritage Blogathon. Many thanks to Kay and Aurora! 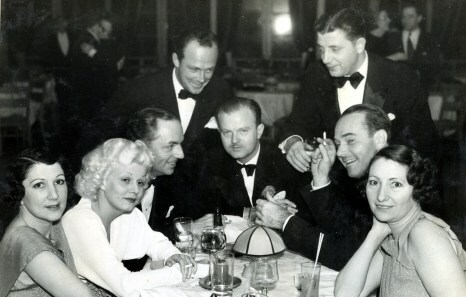 William Haines and Jimmy Shields with Jean Harlow, William Powell, and friends. 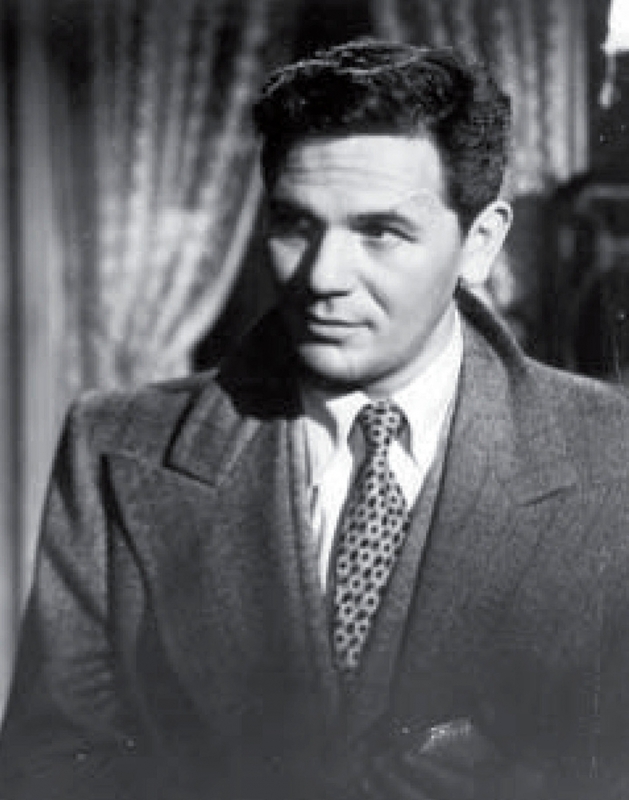 In 1933, a young and successful actor lost his job in Hollywood. His name had been featured in many wildly popular hits in the 1920s, and his appeal was so great that he had been one of the lucky ones to make the transition to sound. The public loved him, and his contemporaries loved him. He was a huge moneymaker at the studio. So what could have prompted Louis B. Mayer to let him go so abruptly? Louis B. Mayer called William Haines into his office one day in 1933, to deliver him an ultimatum. He had been seen with a man, and to quiet rumors about his sexuality, Mayer wanted Haines to enter into a “lavender marriage” that would save the studio from public scandal. If he did not, Mayer would have to let him go. Haines looked Mayer straight in the eye and stated “But I am already married.” He was referring to his relationship of 7 years with his partner, a man named Jimmy Shields. Gay classic Hollywood is a topic that is little discussed in mainstream circles, and its neglect in general discourse has led to surprise from an unaware public when they hear of the gay community’s thriving existence in the Golden Age of Hollywood. The beautiful 1995 documentary The Celluloid Closet works to ease that surprise and clarify misunderstandings, and it has become essential viewing for anyone interested in the inner workings of Hollywood. But for many, the vibrant gay community of classic Hollywood remains an enigma, and many of the stars who were part of that community have sadly disappeared into obscurity. 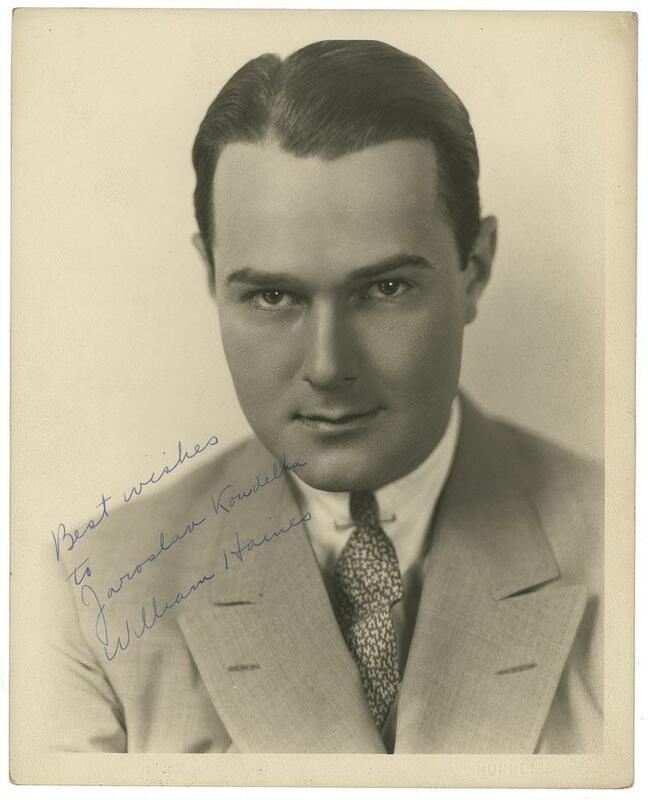 For William Haines, the decision to allow his career to lapse was an easy one. 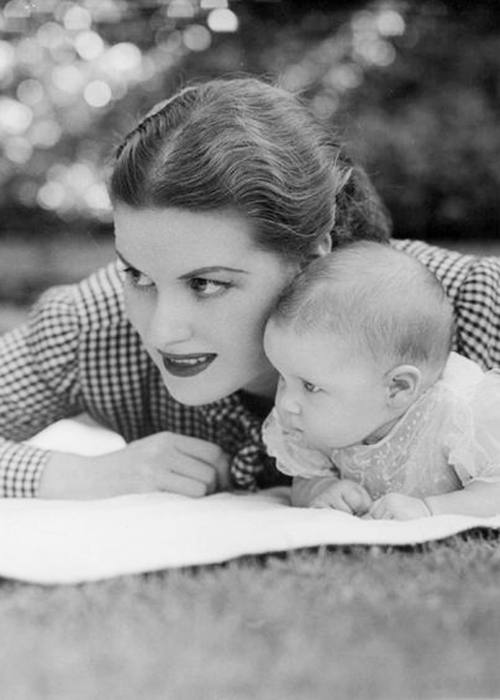 Born in Staunton, VA, Haines became enamored with the movies at a young age. After winning the “New Faces of 1922” contest, he traveled to Hollywood to begin his movie career, which took off the following year with his first film Three Wise Fools at Goldwyn Pictures (a studio that would merge with Metro in 1924 to become Metro Goldwyn Mayer). The studio was impressed with him, and began building him as a star. By 1926 he was an established name, and his role in Brown of Harvard (1926) cemented his onscreen persona as a young man “too big for his britches” that ultimately comes around. On a publicity trip to New York during the same year, Haines met Jimmy Shields for the first time. It is unclear exactly how they met, but scholars believe that Jimmy may have been down on his luck, working as a prostitute on the streets of New York. Haines picked him up, telling him that he would bring Jimmy out to Hollywood to work as an extra, and soon they fell in love and were living together as a couple. With Joan Crawford and her husband, Al Steele. Haines and Shields were very well-liked in Hollywood, counting Jean Harlow, Joan Crawford, Marion Davies, and Gloria Swanson as close friends. They were invited to all the parties around town, treated just as any other couple would be, with no attention to their sexuality. Haines, with his melodic and pleasing voice, made an easy transition to sound. The public still flocked to his pictures. But the country remained very religious and intolerant of “alternative lifestyles,” and Louis B. Mayer knew this. If MGM were to keep William Haines on and the public got a hold of the fact that he was in a long-term, committed relationship with a man, it could spell ruin for the studio. By this time, Haines and Shields were inseparable. They were married in everything but name, and Haines refused to give Jimmy up for the sake of his career. So he opted to be fired, and his film career was over. Joan Crawford in the home designed by William Haines and Jimmy Shields. In 1936, Haines and Shields were staying at their beach home in Manhattan when they were accosted, dragged outside and beaten by 100 members of the Ku Klux Klan, after a neighbor accused the two of propositioning her son. The accusations were wildly unfounded, and the scandal infuriated those who knew the couple well. Marion Davies, another very close friend, pleaded with her companion William Randolph Hearst to use his influence to make sure the neighbor was prosecuted and punished for what she had said about Haines and Shields. But ultimately, Haines and Shields did not press charges, and they were cleared of all wrongdoing due to lack of evidence against them. Goodbye to all of you who have tried so hard to comfort me in my loss of William Haines, whom I have been with since 1926. I now find it impossible to go it alone, I am much too lonely. They are buried next to each other at Woodlawn Cemetery in Santa Monica. A true Hollywood love story. If you haven’t seen The Celluloid Closet, I would highly recommend it. It is available on Netflix, and it is a loving and informative tribute to a part of Hollywood history that is sadly and unfairly overlooked.